Darren D. Dickerson serves as a senior publicist for The FrontPage Firm in Los Angeles, California where his current roster of clients includes veteran actress Vanessa Bell Calloway (Shameless), TD Jakes and TDJ Enterprises, TV One (R&B Divas), TV Land (The Soul Man), Kevin Frazier (OMG! Insider), and Roland Martin. 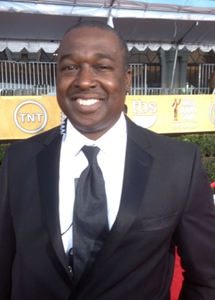 Prior to joining FrontPage, Dickerson served as senior publicist for DSD Publicity & Consulting where he represented a mix of entertainment and corporate clients that included Calloway, actor Sharif Atkins (ER, White Collar), Glynn Turman (House of Lies), AT&T, Sony Pictures Television, and The Baldwin Hills Crenshaw Plaza. Before DSD, Dickerson was Director of New Business Development for Tobin & Associates, the venerable public relations agency founded by industry icon Patricia “Pat” Tobin.